For up-to-date design and technical information on retaining walls, sound barrier fences and more, check out our quarterly technical e-newsletter. Allan Block is a customer service oriented company. 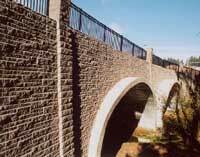 The AB Engineering Department is a great resource for engineers and specifiers with technical and feasibility questions as well as preliminary design assistance for retaining walls and concrete fence projects. The engineers at Allan Block are also available for AB Walls software tutorials. AB Walls is a comprehensive design tool that analyzes external, internal, and internal compound stabilities, then outputs professional quality construction drawings and technical support data. Learn more about AB Walls Design Software..
Have Question? Need an Answer? Give us a call! For assistance contact us via phone at (800)899-5309 or via e-mail at engineering@allanblock.com. Need Pricing, Color or Product Availability? 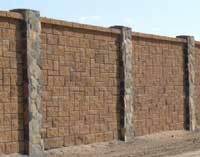 For fence or retaining wall pricing, colors and product availability, contact your local Allan Block Manufacturer.